While Pantothenic acid has not been tested in clinical trials like prescription medications are evaluated, studies are underway to confirm the efficacy of this B vitamin in treating the memory loss associated with mild to moderate Alzheimer's disease. 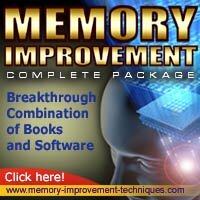 Panthetine benefits for memory are still being studied. Pantothenic acid helps the body to use carbohydrates and proteins in the body. Additionally, it is essential for the production of red blood cells and regulation of the adrenal glands. All of these mechanisms allude to the importance of B5 in maintaining a proper energy level, which is vital in healthy memory function. Pantothenic acid is thought to slow atrophy (shrinkage) in the brain. Brain atrophy is associated with Alzheimer's disease. Natural Medicines Comprehensive Database. (2011, July 21).